Ian Michael Stanger (born 5 October 1971 in Glasgow) is a Scottish cricketer. He is a right-handed batsman and a right-arm medium-pace bowler. Stanger appeared in four One Day Internationals in May 1999. Stanger has played List A cricket since 1992 and first class cricket since 1997. 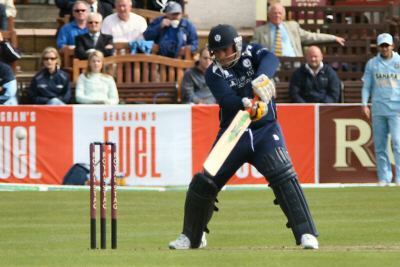 He functions as an alternate batsman for the Scottish side, neither particularly high up or low down in the batting order, with a high score of 27, and thus he sometimes inputs with influential innings when given the bat.